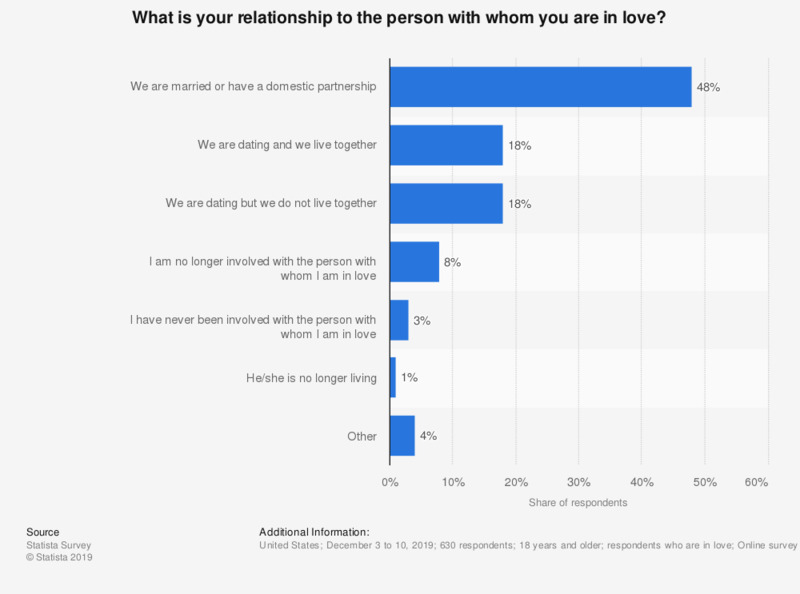 This statistic shows the results of a survey conducted in the United States in 2017 on the relationship the respondents had with the person with whom they were in love. Some 52 percent of respondents stated that they were married to or lived in a domestic partnership with the person with whom they were in love. Original question: "What is your relationship to the person with whom you are in love?"